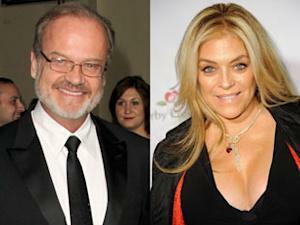 Kelsey Grammer a con man? That's what actress Lydia Cornell (maybe best known for her work on "Too Close for Comfort") and a group of other plaintiffs are alleging. A group including Cornell is suing the "Frasier" actor, website founder Alex Varanos, and others for what they claim was a Ponzi scheme. Grammer denies the allegations. Furthermore, Grammer says he lost $1 million to the ruse himself. The site in question, Staropoly.com, is no longer around. However, it allegedly used photos of Grammer to advertise its products. Grammer contends that he didn't give permission to the site to use his likeness. News of the lawsuit first appeared at RadarOnline.com. Grammer's attorney, Marty Singer, released a statement comparing Cornell's lawsuit to extortion. Singer said, "Any claims filed against Kelsey Grammer concerning Staropoly are absurd and without merit. Kelsey has been substantially damaged in this venture, and in fact lost $1 million of his own money." Singer continued: "Kelsey received nothing from the venture, monetarily or otherwise. Kelsey has not been contacted by any of the attorneys in the lawsuit, not been served, and has not been contacted by any governmental agency. If Alex Varanos told people that TODHD (Staropoly's parent company) was Kelsey’s network, then it was done without Kelsey’s authorization and against Kelsey’s strenuous objections." Cornell is singing a very different tune. She claims that Grammer's perceived endorsement of the site is what persuaded her to join the "branded social network." Lawsuit documents read, "Defendant Staropoly has falsely advertised itself as a multi-level marketing company; however, its operation is that of an illegal pyramid scheme operating in order to commit credit card fraud, with no monetary return to its associates. Photographs and promotional materials of Grammer were used as sales tools to 'reel' in more investors. Hundreds, if not thousands, of innocent investors were 'taken in' by these Ponzi schemes, primarily due to Grammer's endorsements."